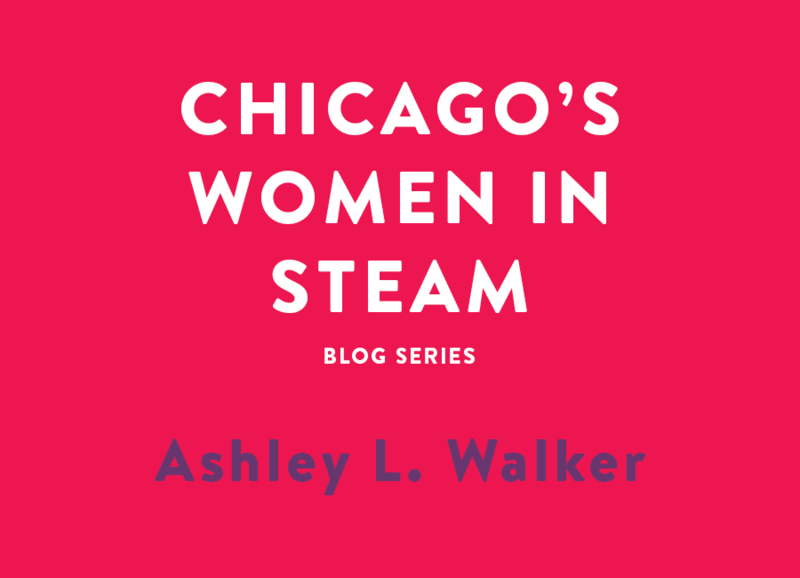 “Chicago’s Black Women in STEAM” is a new series on The Adler ’Scope that highlights the awesome women of Chicago who are doing amazing things in science, technology, engineering, art, and math fields here in our own community. Meet women of varying ages, backgrounds, and interests and learn their unique stories. How did you first become interested in astrochemistry? I was always curious about space and enjoyed learning about it. I remember going to the planetarium when I was younger and they had an exhibit that told you how much you weighed on a different planet. Ever since then I wanted to go back. My professors, Dr. Kristy Mardis (my current research advisor) and Dr. Kim Coble (my very first advisor & “astromom”—a woman who births you into astronomy) helped me pursue astrochemistry as a career. I just transferred into Chicago State University from City Colleges of Chicago with hopes of becoming a forensic chemist. I’m a recipient of the Chi Sci scholarship, which is for incoming freshmen and transfer students majoring in chemistry & physics at CSU. I inquired about the NASA space grant program, which lead me to Dr. Coble, the campus director at the time. After speaking, I decided to take her Basic Astronomy class and fell back in LOVE with learning about the Universe. I didn’t know astrochemistry existed! Dr. Coble encouraged me to become an astronomer while receiving a degree in chemistry. I was her VERY first chemistry major (as a research student). I realized that this is the path that I am supposed to take. As a native of Chicago, who were the Black STEAM professionals that you looked up to? There’s so many! Dr. Nia Imara, Dr. Julie Dumas, LaNell Williams (Harvard Grad Student), Jamila Pegues (Harvard Grad Student), Bryne Hadnott (Johns Hopkins Grad Student), Dr. Jedidah Isler, and Dr. Chanda Prescod-Weinstein… just to name a few! I hope to inspire someone just like these women have inspired me to continue in astronomy. In the United States (and beyond) few women are earning degrees in STEAM, and the percentage is even smaller for women of color. How have you made sense of this inequality? Have you encountered obstacles that have challenged you from pursuing a career in astrochemistry? How have you overcome them? I definitely try to bring these issues to the forefront. My goal is to break down barriers for women of color, so that it won’t be harder for the next generation. I’ve encountered racism and sexism. 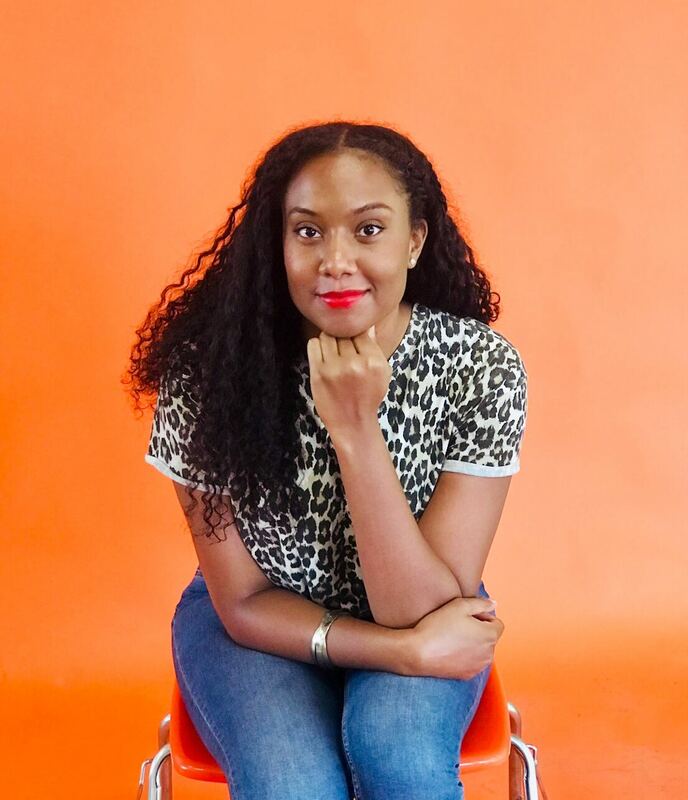 Being a Black woman in a rare and new field, I have to keep my head above water. The support from my peers, my mother, family, friends, and support from my institution has kept me grounded and focused on my future. You’re highlighting Black astronomers each day for Black History Month on your Twitter account. What inspired you to do this? I was thinking about representation. I thought about how people who look like me, coming from the Englewood neighborhood and how we don’t see astronomers that represent us. I met so many amazing Black junior astronomers, so I thought that it would be cool to highlight them. Representation in STEAM careers is critical in shaping youths’ perception of themselves and what they can achieve. In your opinion, what else can be done to make black astronomers and STEAM leaders more visible to the general public? Hidden Figures was a great movie, but I would like to see more mainstream media support that constantly highlights Black women in STEAM/Black astronomers, doing activities, and building programs in impoverished/ignored areas throughout the city. 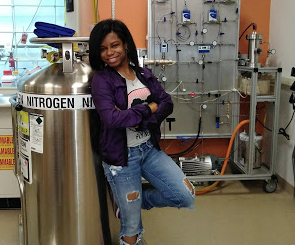 What advice would you give to young girls of color who are interested in pursuing careers in STEAM? Be yourself and never give up! Try to get as much experience and explore different fields as possible. If you don’t see anyone that looks like you in the room, become that person that inspires others that look like you to become scientists. Just for fun, we read that you also have an interest in early planet formation! Do you have any thoughts on the Synestia Theory of the Earth and Moon formation (which is talked about in our newest sky show Imagine the Moon)? I LOVED the Imagine the Moon dome show. I had a chance to watch it during Adler After Dark: Space Invaders with Adler’s Dr. Lucianne Walkowicz, who is a mentor of mine! I was so excited to see how it was explained. I’ve been interested in different theories on the Earth and Moon formation. I’m so used to reading and hearing about the many views on the formation of our solar system in general, so this makes me want to do a small research project of the formation of our Moon! Meet Ashley for yourself at Pop-Up Programs from 11:00-1:00 pm at the Adler on President’s Day (February 18) where she will be leading an experiment on how planets are created! Join Ashley at Pop-Up Programs! As a self-proclaimed "space nerd", Bianca relishes in the opportunity to champion the Adler's mission to the public every day. In her free time she enjoys eating Popeyes' $5 Bonafide Box, attending indie-music shows, and checking out all of the world-class museums that Chicago has to offer.